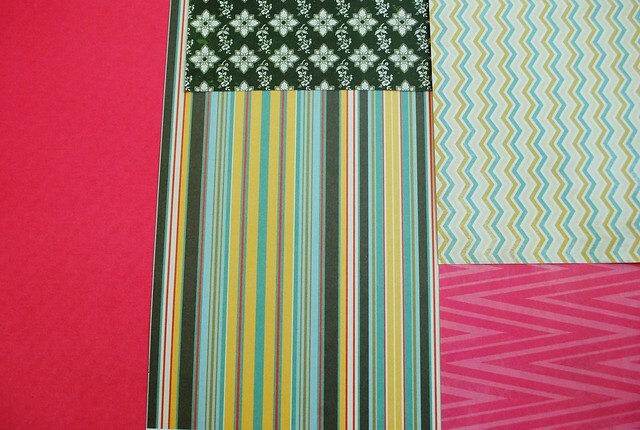 It makes me extra happy that I came up with this combo on my own - it wasn't inspired by a particular pattern or already-coordinated paper pack. 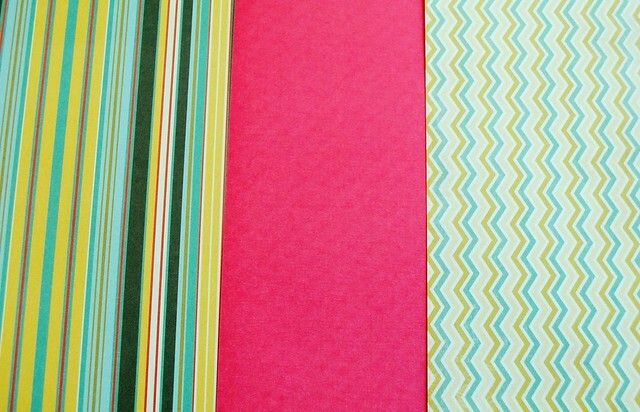 I started by pulling out the solid watermelon pink from my loose paper folders. 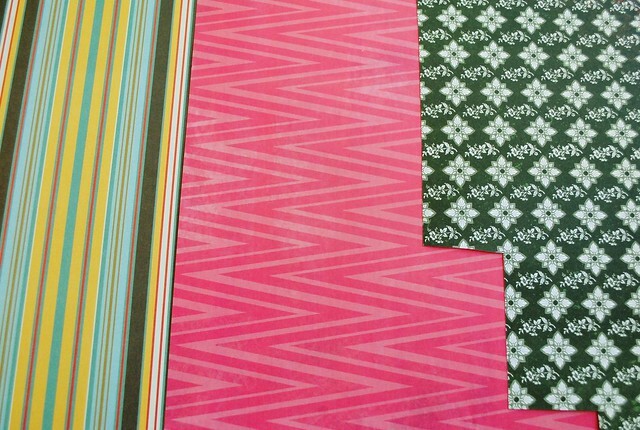 The stripes jumped out at me next and I wasn't sure about the match but side-by-side they were just lovely. 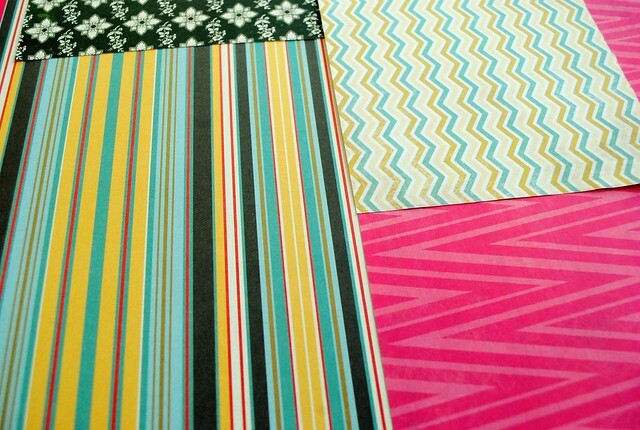 The two chevron patterns fell into place nicely - these are the only two papers that came from the same pack - I really like how they each complement a different side of this spectrum. Lastly, I spotted the dark green floral and knew it would round out the collection perfectly. Bonus: it was the exact same hunter green as in the stripes. 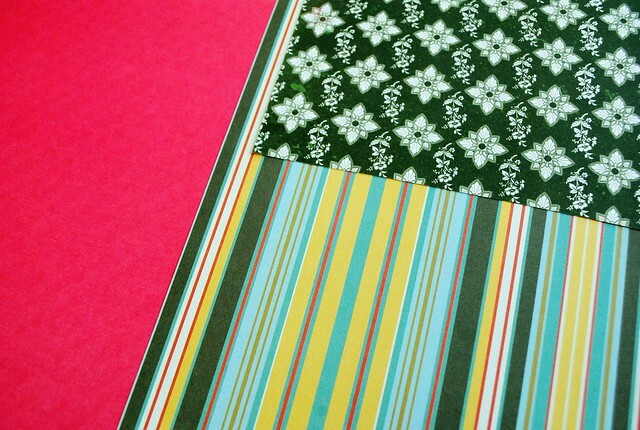 An unusual combination, but I'll definitely be making a collage with this bunch!